A pretty large seaplane. 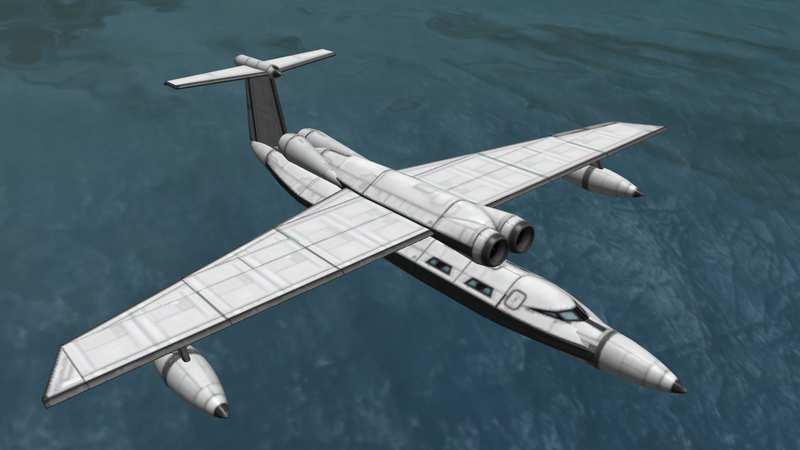 Max capacity 10 Kerbals. 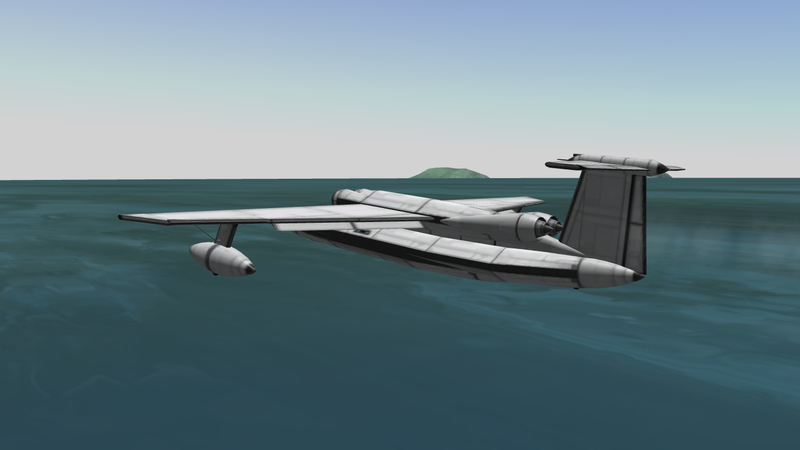 Take off and land at 45 m/s on water, 35 m/s on land. 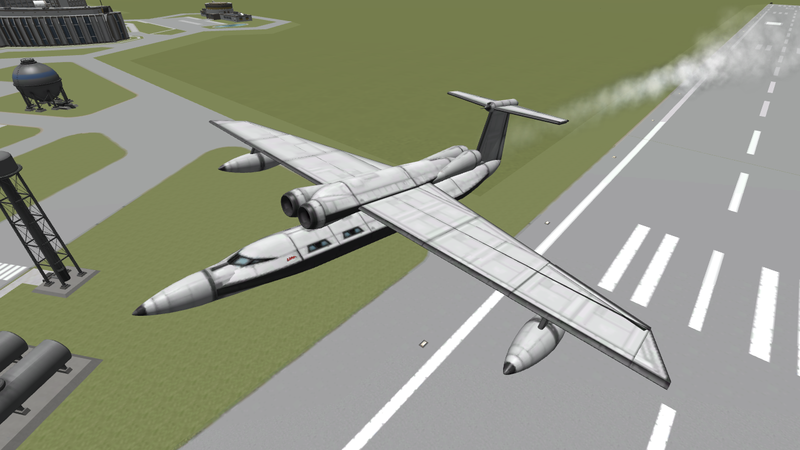 1 for flaps, 2 for reverse thrust. A stock aircraft called C-15M Heron. Built with 106 of the finest parts, its root part is mk2Cockpit.Standard.